The Federal Circuit recently decided an interesting case about whether there should be a patent agent-client privilege. In In re: Queen’s University at Kingston (Case No. 14-145), the Federal Circuit concluded that there should be such a privilege in a 2-1 decision written by Judge O’Malley (Judge Lourie joined the decision, and Judge Reyna dissented). Queen’s University in Kingston, Ontario, Canada filed a patent infringement lawsuit against Samsung Electronics Co., Ltd. in the Eastern District of Texas. During discovery, Samsung sought to discovery certain communications between Queen’s University employees and its registered patent agents. The district court granted a motion to compel, finding, in part, that there was no patent agent privilege. Queen’s University filed a petition for writ of mandamus with the Federal Circuit challenging the order. The Federal Circuit first determined that its law, and not the law of the regional circuits or state law should apply to determine whether a patent agent privilege might exist because the issue relates to patent-specific subject matter. 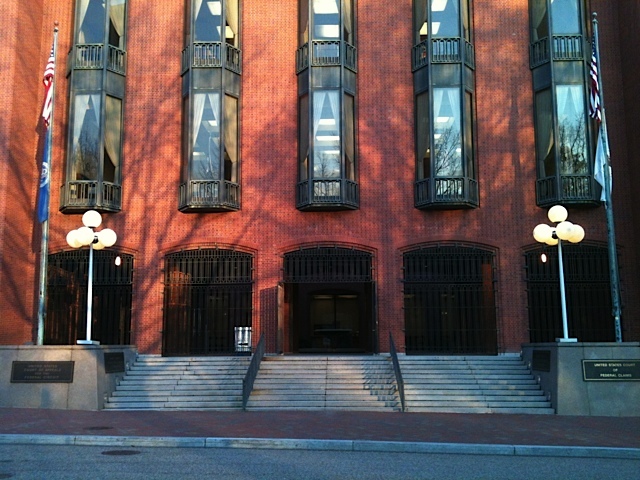 It also noted that the issue was one of first impression at the Federal Circuit, but was one where there is conflicting authority at the district court level. The Court then decided that it was appropriate to consider the writ given that once the documents were produced, there would be no easy way to undo the damage if a privilege existed. The Court also noted that the district court split on the subject favored it providing some clarity on the issue. The Federal Circuit then turned to the issue of whether it should recognize a patent agent privilege. The Court found that Rule 501 of the Federal Rules of Evidence authorizes federal courts, in appropriate circumstances, to recognize new privileges. It further noted that it did so with some caution, as privileges restrict the flow of information and should not be created lightly. The Court then looked to the Supreme Court’s decision in Sperry v. State of Florida ex rel. Florida Bar, 373 U.S. 379 (1963), in which the Supreme Court recognized that patent agents perform acts that constitute the practice of law and that the regulation of patent agents is solely governed by the US Patent and Trademark Office. In looking at the Supreme Court’s analysis in that case, the Court traced the history of patent agents and the nature of their work before concluding that a limited patent agent privilege is appropriate. The Court next turned to what the scope of that privilege should be. Not all communications with a patent agent can be privileged. Communications between non-attorney patent agents and their clients that are in furtherance of the performance of these tasks, or “which are reasonably necessary and incident to the preparation and prosecution of patent applications or other proceeding before the Office involving a patent application or patent in which the practitioner is authorized to participate” receive the benefit of the patent-agent privilege. Based on the recognition of this new privilege, the Court grant the petition for a writ of mandamus, vacated the district court’s order on the motion to compel, and remanded for further consideration. This entry was posted in Patents and tagged attorney-client privilege, Federal Circuit, patent agent, patent agent privilege, Pittsburgh Patent Attorneys. Bookmark the permalink.